Here are five ways to wear espadrilles for the season ahead. 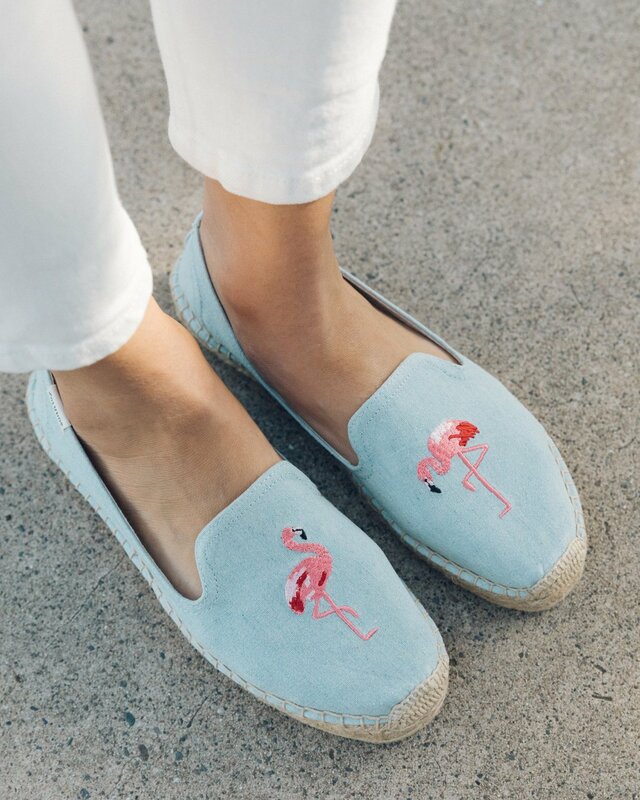 Espadrilles are a shoe style that screams spring — and they’re the perfect style for you to try this year. They’re insanely popular right now and can work with so many different kinds of looks and moods. Wondering how to wear espadrilles? I’ve created five espadrille outfits that are all under $50 to give you a head start on how to style this trend! This look is perfect for a college girl who wants a cute but comfortable look to wear on campus. My go-to tops are loose and flowy striped tees. They go with almost anything and look even better tucked into some dark wash jeans. The espadrilles I picked for this look are a subtle shade of blush and are from Target! Blush pink is my favorite color to pair with stripes (and basically every other pattern). These shoes work flawlessly with the tassel earrings that are also featured. To tie it all together, grab your favorite burlap sustainable shopping bag and head on about your day! The one I chose above has the quote “work hard, stay humble” on it and I feel like it fits the whole vibe of the outfit. 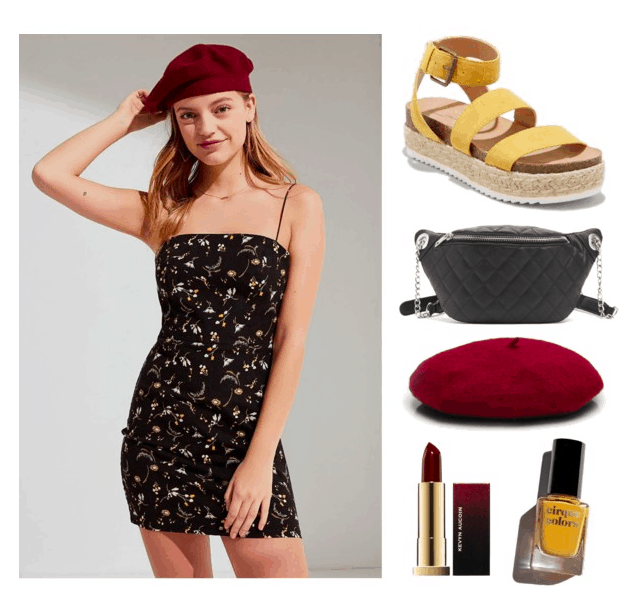 The espadrilles I chose for this ensemble are perfect for walking on the boardwalk while also gaining an extra boost of height. They match the outfit as well: The denim ties into the navy stripes in the bathing suit. This burlap reusable tote is also great for the beach because it can fit a lot of stuff easily but is also super easy to clean. So throw in your tanning lotion and a cute sun hat and you’re all set to have an awesome vacation! The third look is a comfy casual look for your weekly errands. A plain white tee goes with any outfit and pairing it with these cozy sweats is even better! The espadrilles for this look work really well because the slide-on factor makes them an even more effortless part of the ensemble. The tan suede is also super chic, meaning that these shoes will work with many other outfits in your closet. This dad hat is super cute and is the perfect way to top off the outfit. 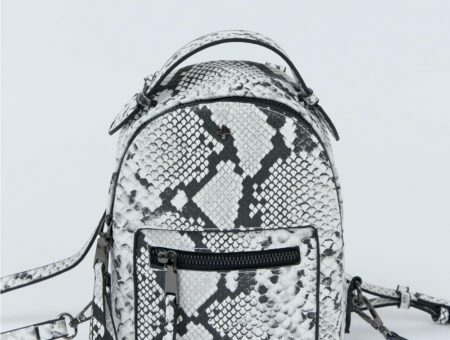 Add on this woven shopper bag from Nordstrom and you’re ready for a comfortable day on-the-go! For this next look, I created a look for a spring wedding because many people get married around this time of year and you’ll need something cute to wear! This simple gathered waist dress with layered sleeves is the perfect outfit. Espadrilles work great for spring weddings, especially outdoor weddings! I have seen many affordable pairs of espadrille wedges from brands such as Steve Madden and Vince Camuto; however, these are even cheaper and are under $40. Add a pair of cute tassel earrings, your favorite blush lipstick, and a neutral-colored crossbody and you’ll be ready to watch the happy couple walk down the aisle. The final look is perfect for the Coachella or Rolling Loud attendee. (More Coachella outfits here.) When you attend one of these events, you want to be cute but comfortable since you’ll be standing up for long periods of time. This dress from Urban Outfitters is a great option since it has thin straps and is part linen! The espadrilles I chose with this look will stay secured to your feet through many sets while looking awesome with the dress. Since these are platforms, these will also help you get an inch or so more viewing space — win! Choose a cute fanny pack to keep your essentials in and grab a beret to finish off your look. Remember to also grab your favorite shade of lipstick and finish off your look with a cute nail polish that ties the whole thing together. Are you going to be rocking espadrilles this season? There are so many ways to style espadrilles but these are five great ways to do so! IF you decide to try these out or have ideas of your own, don’t forget to tag College Fashion in your social media photos! 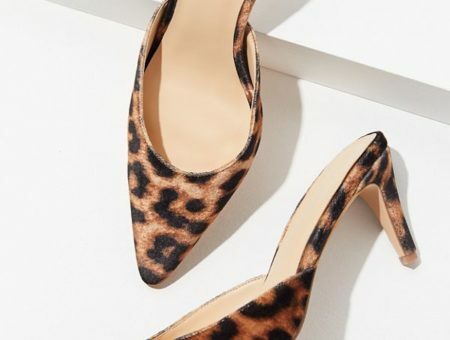 Previous Would You Wear… Flat Pointed Toe Mules? Next Would You Wear… Mobile Earrings?